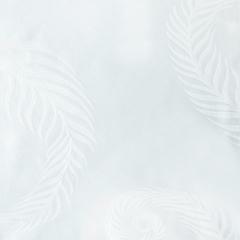 The Cerboli line enhances the quality of our Egyptian combed cotton yarn. Our excellence in glorifying these fabrics are distinctive characteristics of these high-end lines and the result is a full fabric yet soft and silky. In the Cerboli shams, the whirling of the fern leaves give rise to a light dance, as if moved by the wind, in a play of elegance and grace. 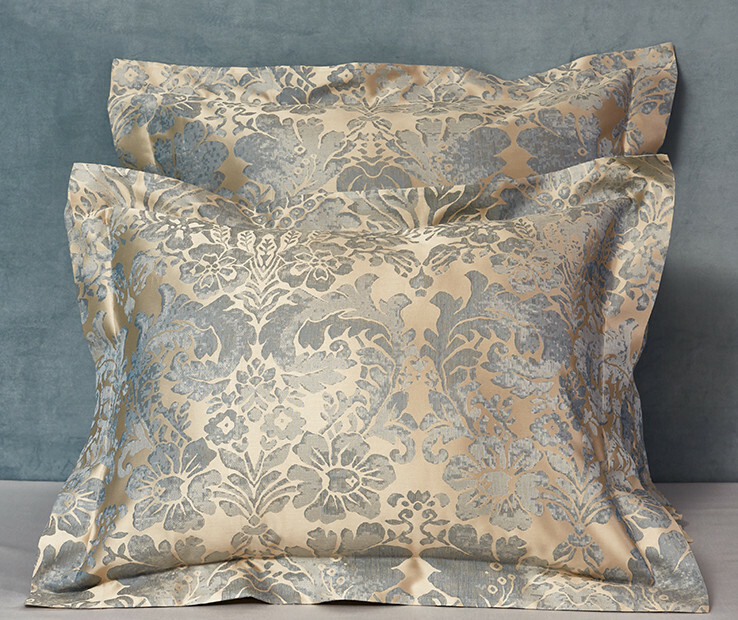 In a particular contemporary style, the leaves are drawn on a silky piece dyed jacquard, making the line ideal for both classic and modern decors. Available in Standard, Euro and King sizes, the Cerboli Shams have four flanges of 2 inches neatly finished with a simple hem. Made in Italy. 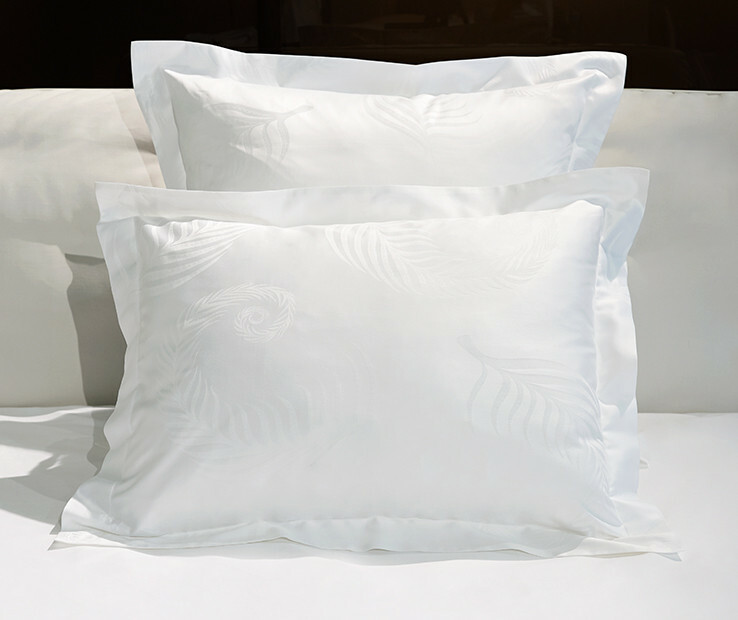 The Cerboli line enhances the quality of our Egyptian combed cotton yarn. Our excellence in glorifying these fabrics are distinctive characteristics of these high-end lines and the result is a full fabric yet soft and silky. In the Cerboli shams, the whirling of the fern leaves give rise to a light dance, as if moved by the wind, in a play of elegance and grace. 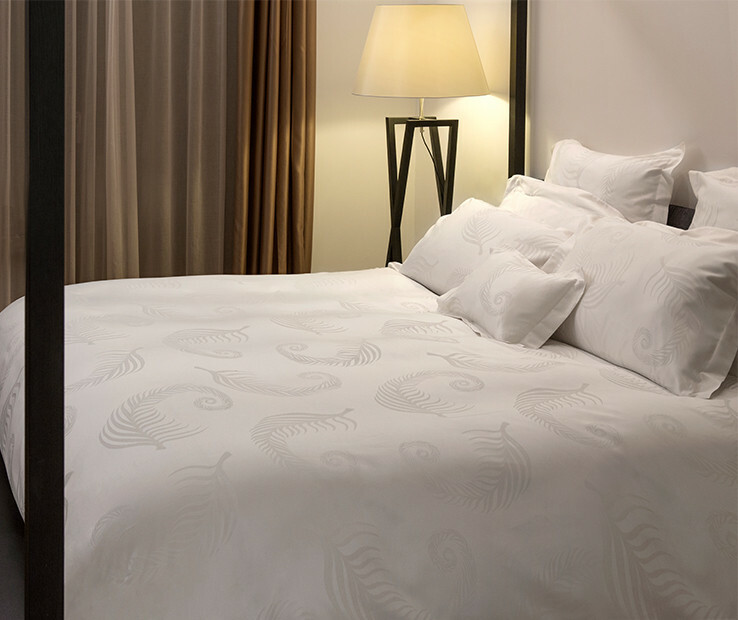 In a particular contemporary style, the leaves are drawn on a silky piece dyed jacquard, making the line ideal for both classic and modern decors. Available in Standard, Euro and King sizes, the Cerboli Shams have four flanges of 2 inches neatly finished with a simple hem. Made in Italy. 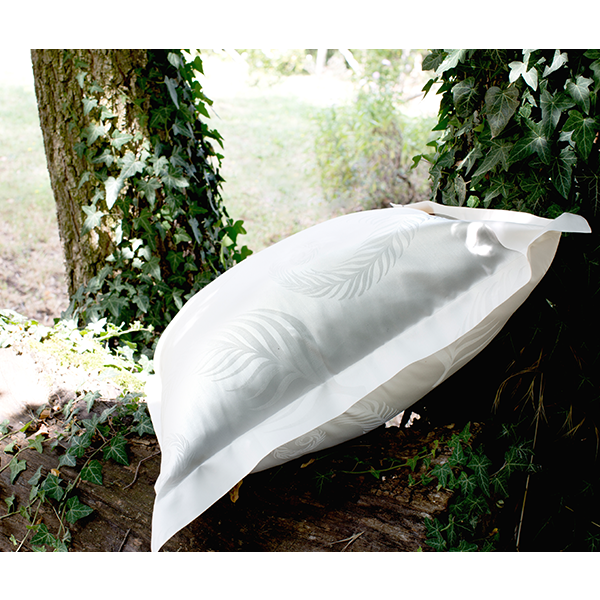 The Cerboli line enhances the quality of our Egyptian combed cotton yarn. Our excellence in glorifying these fabrics are distinctive characteristics of these high-end lines and the result is a full fabric yet soft and silky. 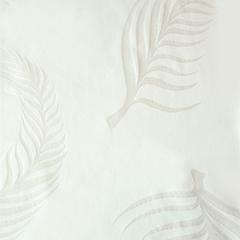 In the Cerboli duvet cover, the whirling of the fern leaves give rise to a light dance, as if moved by the wind, in a play of elegance and grace. 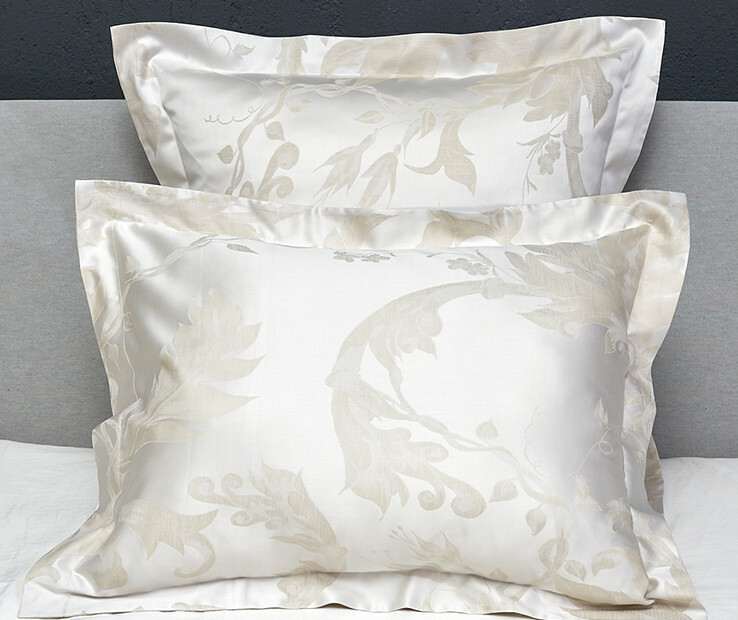 In a particular contemporary style, the leaves are drawn on a silky piece dyed jacquard, making the line ideal for both classic and modern decors. 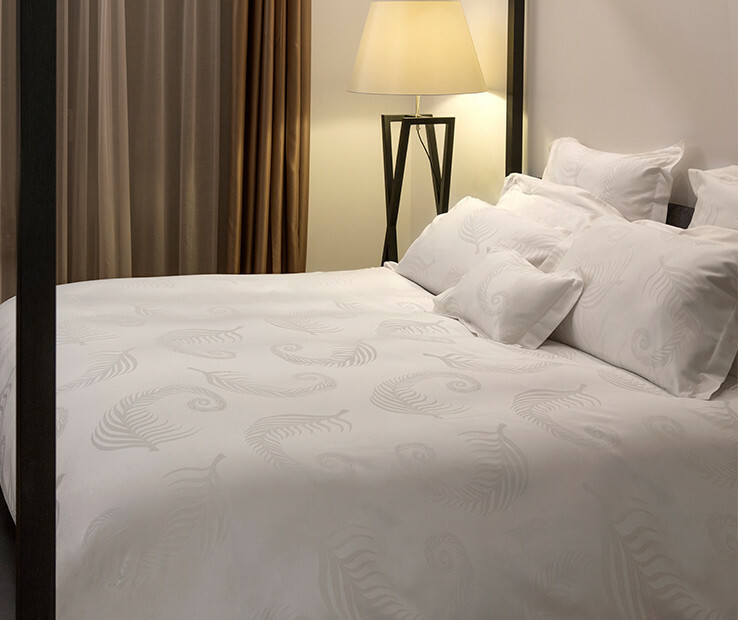 Available in Twin, Queen and King sizes, the Cerboli Duvet cover is backed with silky cotton sateen in coordinating color and is neatly finished with a simple hem, buttons closure. Made in Italy.